Chickens on commercial should be farmed in poultry farming battery chicken cages, but what kind of battery chicken equipment is good quality and what kind of cages are cheaper are often the biggest hurdles for poultry farmers. Since both low-cost cages are not durable and durable prices are accepted no, so hovering between price and quality. In fact, the chicken cage price is not to just think about price, but to consider the future can be seen after the price of the whole. Look at the price need to see the surface price and durability, what is the durability it, to be blunt is to be counted as depreciation, with five years of cage selling 500, one year depreciation is 100, with 20 years of cage to sell 600, one year depreciation Is 30, the price is expensive and cheap at a glance, the cage is the key to raising chickens, reducing costs is the most important, chicken is not a highly profitable industry, in the choice of cages without reducing the cost of more harm than good. Production of “spray cages,” the surface smooth, flexible, effective guarantee that the damage rate of eggs within 0.5 per thousand than similar galvanized class of broken eggs reduced by 6 times! And pick up eggs, Qing dung machine, feeding machine and a series of automated battery chicken equipment. The characteristics of the ladder-type cages: A-type cages, specifications 195 × 35 × 38, three raised 90-96 chickens, four raised 120-128 chickens. 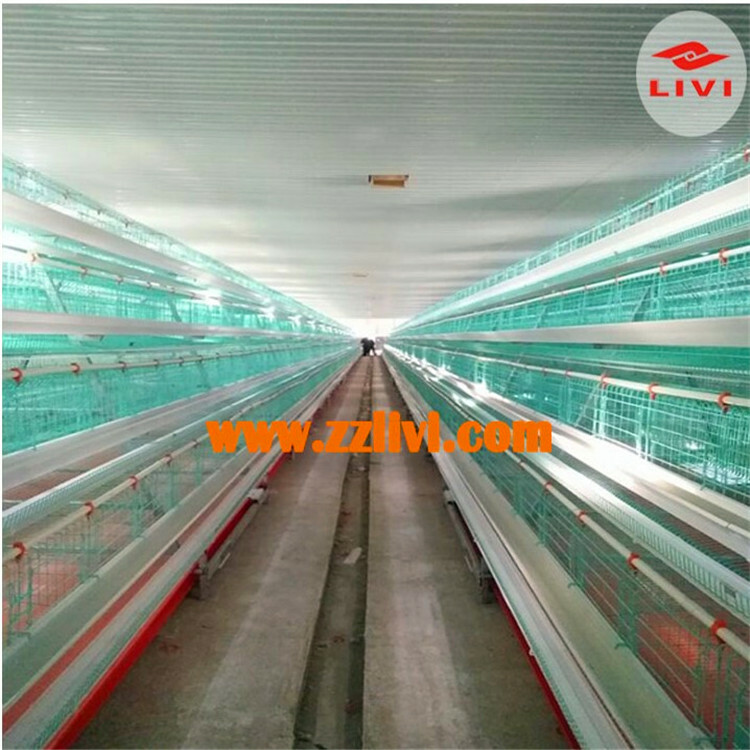 The upper and lower two cage completely staggered, there will be no upper chicken fell to the lower body of the chicken phenomenon, the common three and four, according to customer requirements custom cage and layers. Qing dung convenient, three need to leave 1.8 meters wide dung, four need to stay 2 meters ditch ditch. Can be used with ladder-type feeders and gantry material machine, clear manure can be used scraper-type manure cleaner and belt-type manure cleaner, save a lot of labor. Stacked cages features: H-type cages, specifications are 165 × 50 × 40, three raised 160-180 chickens, four raised 180-220 chickens. Common three and four, according to customer requirements custom cage and layers. There is no need for ditching ditch in the chicken coop. This type of cascading cages can only be used with the dunnage and flat belt dredger system, which can be used with cascading lane feeders and gantry millers. The 50,000 poultry houses can be operated by one person Management, saving a lot of labor. Automatic chicken farming equipment, automatic feeding system, automatic egg collection system, automatic manure ramoval machine, pre-professional planning and design of chicken coops of Livi Machinery provide you with one-stop chicken equipment program.